You read that right and just in time for the hot weather too. 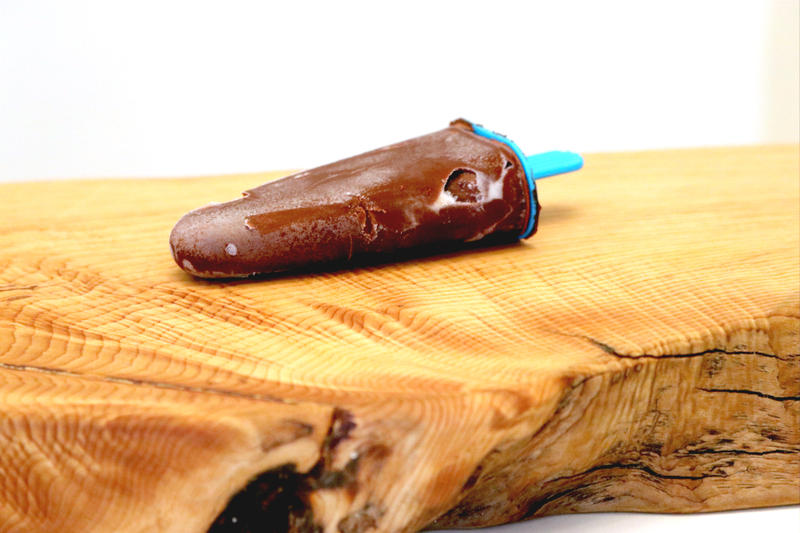 These chocolate paddle pops are better than the real thing, they’re vegan, much healthier and don’t have any nasties. They’re also super simple to make and if you’ve ever made my Vegan Chocolate YoGo recipe before then you’ll pretty much already know the how too. I’ve been a bit of a bad food blogger today because I had to take a quick snap of the last paddle pop we had left. The recipe makes 12 small paddle pops but they were all gobbled up before I could take any good photos. Of course this happened to be the worst formed of the bunch too… most of them came out with zero bubbles. Go figure. Place all ingredients in a medium or large saucepan. Place over medium heat and bring to the boil, whisk to make sure it doesn’t stick. Once bubbling, whisk constantly for 2 minutes. 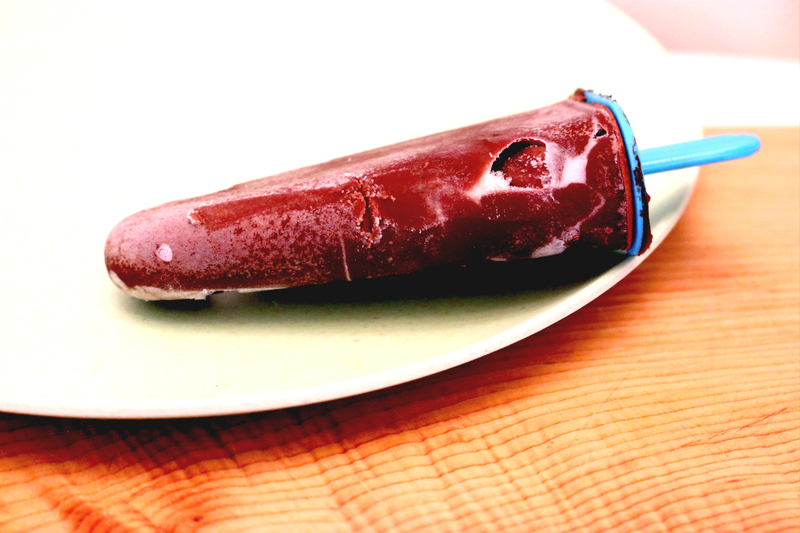 Remove from heat and pour mixture into icy pole molds. Caster sugar can be used instead of maple syrup, however you will need to add less corn flour (2 tablespoons should do it) in order to get the right consistency.